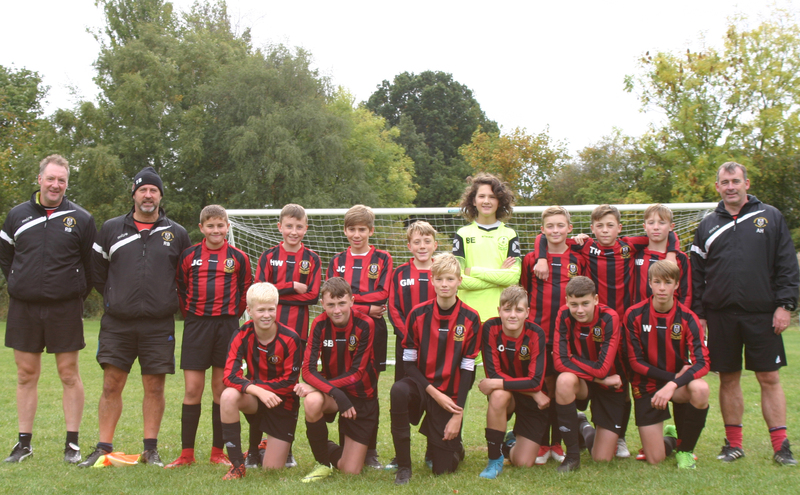 Gomersal & Cleckheaton U14 White 1 vs. 5 North Gawber Colliery Junior U14 - 3 March 2019 - Under 14 White - Gomersal & Cleckheaton F.C. The boys were up against a very good North Gawber side who wanted the ball more, went towards the ball and wanted to win the 2nd ball more than Gomersal for most of the game. The players lacked some self belief and let their heads go down early. They had some clear cut chances too to grab a couple of goals but ere not quick enough to pull the trigger. In part they also played some good football. Elliot Atkinson drew a foul in the box to give Tim Hill the chance to score from the spot to make it 4-1 later in the 2nd half, at that point we were starting to play better football. Strong perfomances from George Boulton, Lewis Wilkinson, Gilbert Clough. Our midfield of Josh Carney, Sam Bottomley, George Martin, Luke Oldcorn, Harvey Walker and Niall Brown battled quite hard. Alex Hughes did well against a very good winger. Bryn Evan'c communication was very good today and has really improved that aspect of his game. Elliot Atkinson was awarded MOM for his tireless running and aggression when out of possession and also played the pass fo the match in the 2nd half. We lost twice last season heavily to this team, so a slight improvement, but we feel we can be closer to them in the future. It was also great to see Callum Snowden at the game which I think gave the boys a lift to see him on the road to recovery. We play this team again in a few weeks, so we will target an improvement.